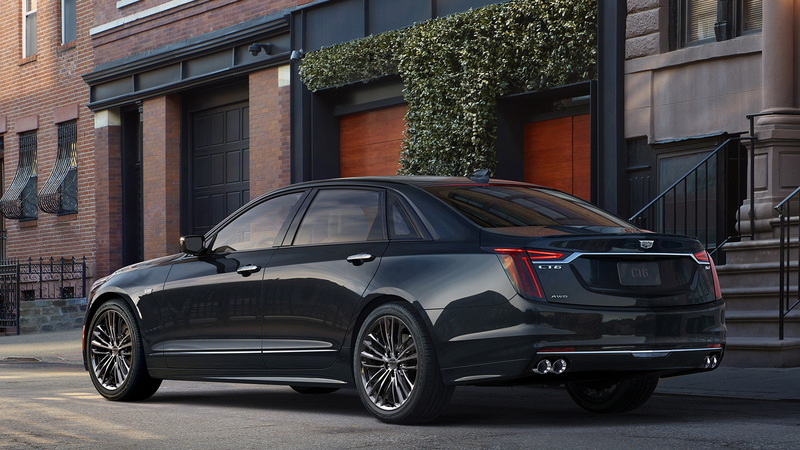 Cadillac will give its CT6 full-size sedan a shot in the arm with the 2019 CT6 V-Sport. The new performance model also ushers in a new engine for the brand, and it's no slouch. 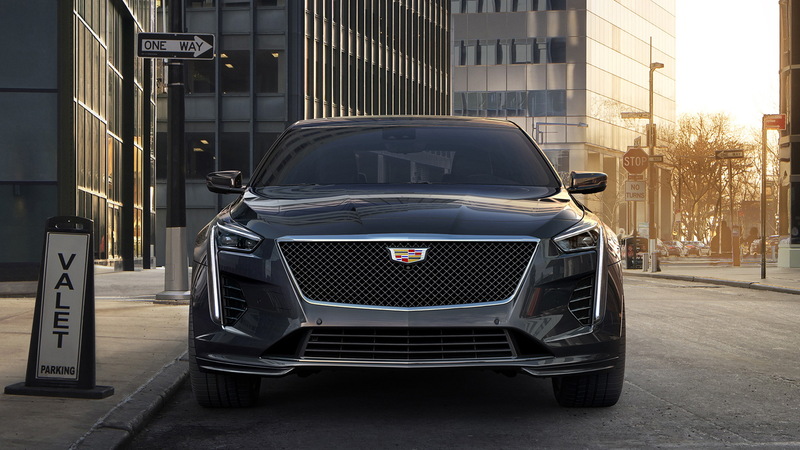 Alongside the CT6 V-Sport's reveal on Wednesday, Cadillac provided details on a new dual-overhead cam, twin-turbocharged, 4.2-liter V-8 engine. The basics? The new mill pumps out an estimated 550 horsepower at 5,700 rpm and an impressive 627 pound-feet of torque between 3,200 and 4,000 rpm. The turbos produce up to 20 psi of boost and an electronic wastegate helps keep 90 percent of the engine's peak torque available at around 2,000 rpm. This isn't your weird uncle's Northstar V-8. 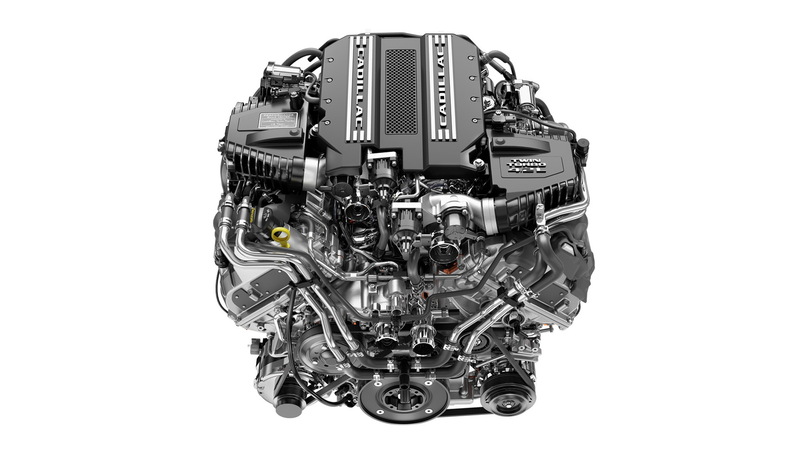 Cadillac engineers started with a blank canvas to optimize performance and efficient packaging for the 4.2-liter V-8. Notably, the engine features a "hot V" formation, which differs from many other turbocharged engines but apes the designs used by Porsche/Audi and Mercedes. The hot inside V design places turbochargers at the top of the engine in a valley between the heads. 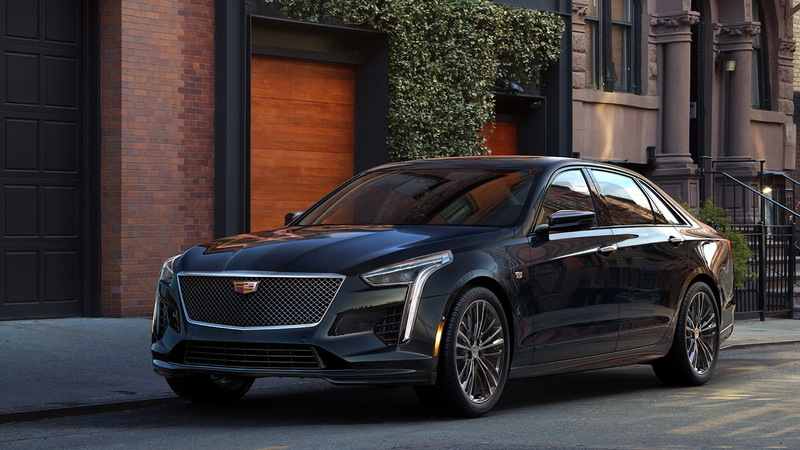 Not only does the design help accomplish the engine's small packaging, Cadillac said it virtually eliminates turbo lag. In a conventional turbocharged engine, cylinder heads receive air through ports at the top of the engine, while exhaust exits lower through ports outside the manifolds, which connect to the turbos. The hot V design takes intake air from a lower position outside of the heads and it exits through the top inside position. The turbochargers are integrated with the exhaust manifolds, and the entire system ensures the turbos spool up incredibly quickly for rapid power delivery. The engine is made from a lightweight aluminum cylinder block that houses a forged steel crankshaft, forged steel connecting rods, and high-strength aluminum pistons. The cylinder bores are just 3.39 inches in diameter, a design trait that allowed for smaller and lighter pistons. Translation? The engine loves to rev and power is available across the rpm band. Other engineering highlights of Cadillac's new darling V-8 engine include twin throttle bodies, direct injection, active fuel management, a variable pressure oiling system, and stop/start capability. Water-to-air cooling helps ensure chilled air before it enters the cylinders via a pair of heat exchangers located above the valley-mounted exhaust manifold/turbocharger housings. 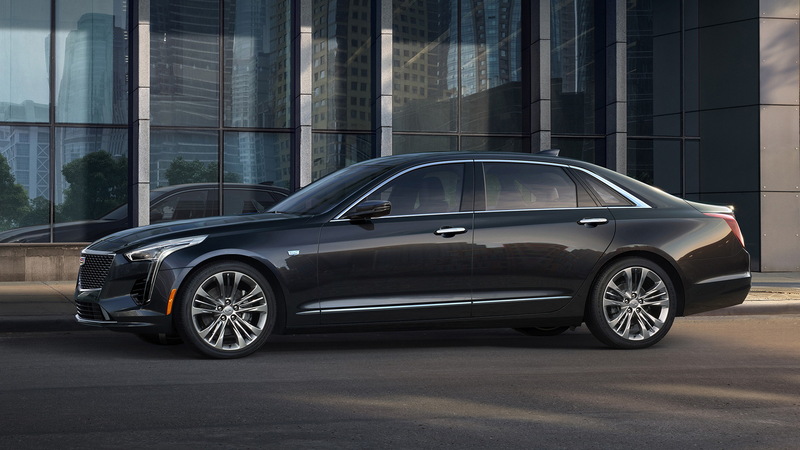 The engine, at least in the CT6 V-Sport, is also paired with General Motors' 10-speed automatic transmission with a 7.39 overall gear ratio. One small detail that caught our eye is the engine's assembly location: GM's Performance Build Center in Bowling Green, Kentucky. GM also builds other performance-oriented goodies in Bowling Green, and all of them involve the Chevrolet Corvette. Could this engine, or some variant of it, find a home in the mid-engine C8 Corvette? Chevrolet performance spokesman Ronald Kiino told Motor Authority GM doesn't comment on future product. It sure would make sense, though, wouldn't it?